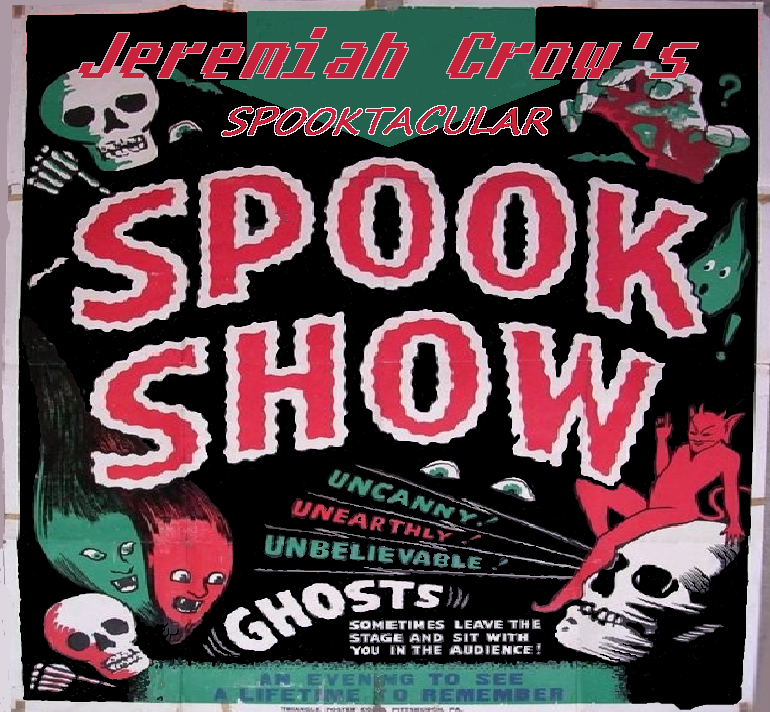 The music of Jeremiah Crow is a sickening melody influenced by the haunting backwoods of the Appalachian Mountains. The raw, sour sounds of its unpolished composition can only be described as creepy folk. This music is not for everyone—it may not be for anyone! But it is honest to it's roots, it's dark roots. Appalachian murder ballads, stories of sorrow, and tales of horror. Welcome to Jeremiah Crow’s Insufferable One Man Show. Find salvation through regret! Dark Appalachian Gospel is available for download through a fearful version of bandcamp. This may be the biggest decision of your life! Put down that meat cleaver and buy yourself a modern version of Distilled Funeral Hymns. These haunting melodies are available for contemplating through means of you giving me your sinful money! Just buy the damn thing already! ​Welcome to the Spook Show! Here lies a horror themed album brimming with spooky sound effects and rotten folk music. Dedicated to the haunted past when Spook Shows would terrorize movie theaters, this single track contains over thirty minutes of bone chilling terror. See real live ghosts float from out of your stereo speakers! Hear monster ear worms digging into your brain! See your scum bag friend, who owes you money, decapitated right before your very eyes! Do you dare download this release? And will you survive? Free release from Death Roots Syndicate! Click the here for the weirdness. See the Creepy Folk aRt!